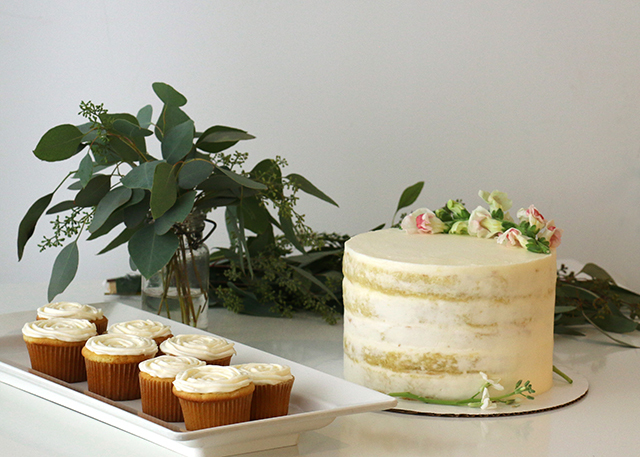 Last week I was asked to provide a little decor and dessert for a joint bridal / baby shower. 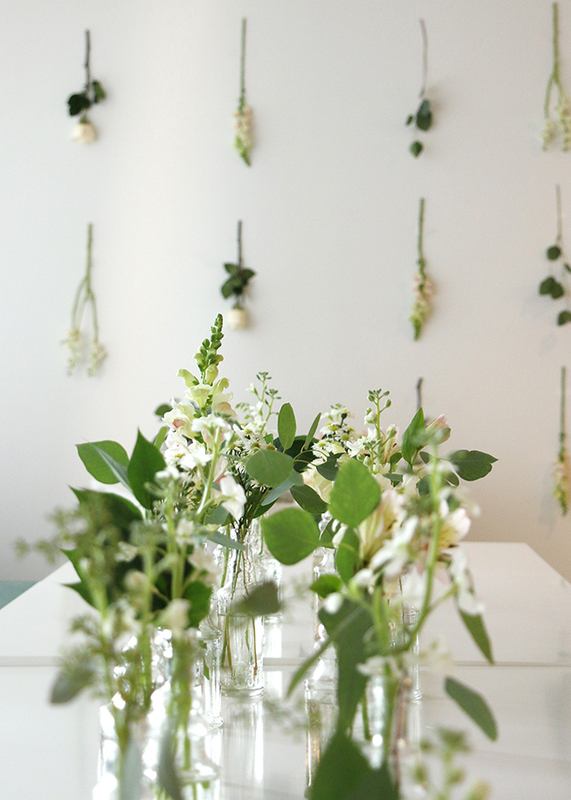 I kept the decor neutral and natural to go with the primarily white office kitchen space where the shower was being held. 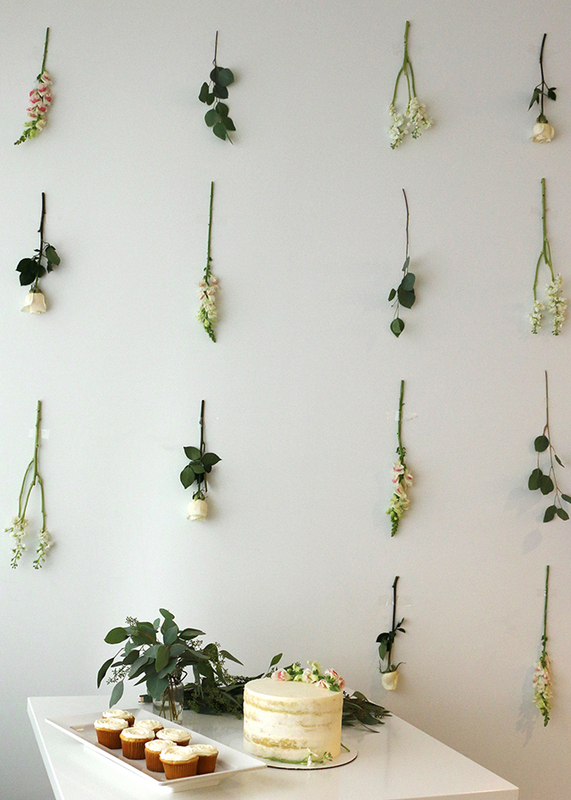 I used lots of greenery and florals used to brighten up the space. Forty feet of white pennant garlands were hung across the ceiling. 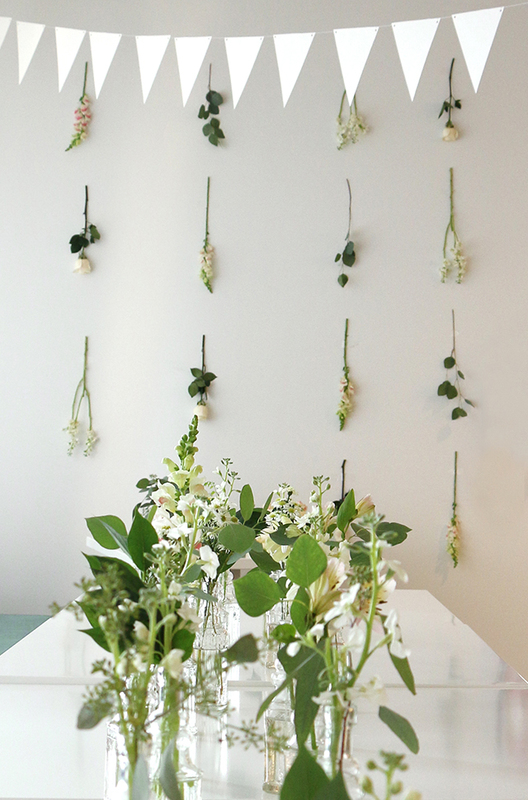 Small vases of florals and greenery were setup as a runner across the table, and smaller arrangements were placed around the space. 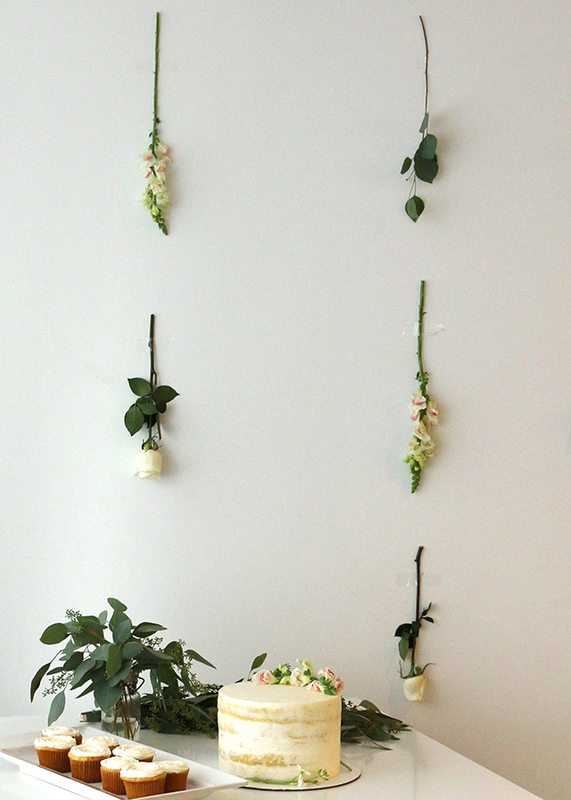 There was one blank wall in the space, so I added individual stems of flowers and greenery to the wall – this also served as a nice backdrop for the dessert table. 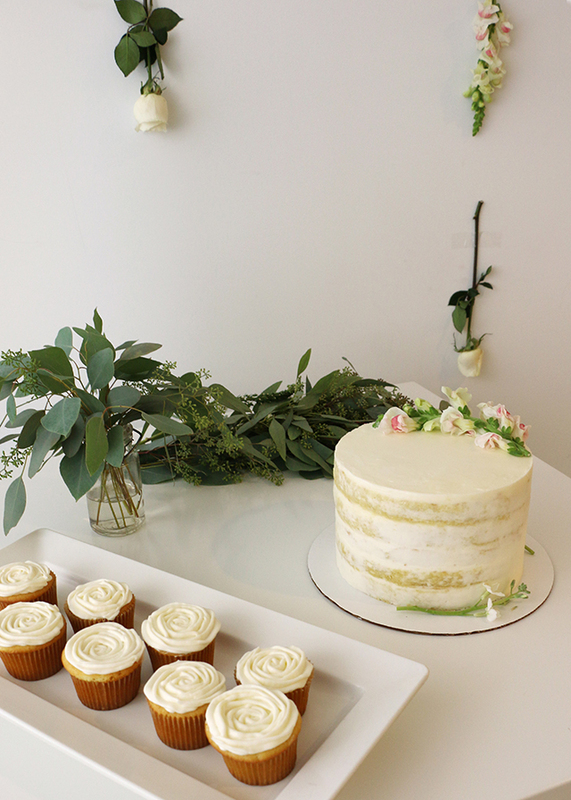 I made vanilla cakes with vanilla buttercream roses and a partially naked vanilla cake for the dessert options. 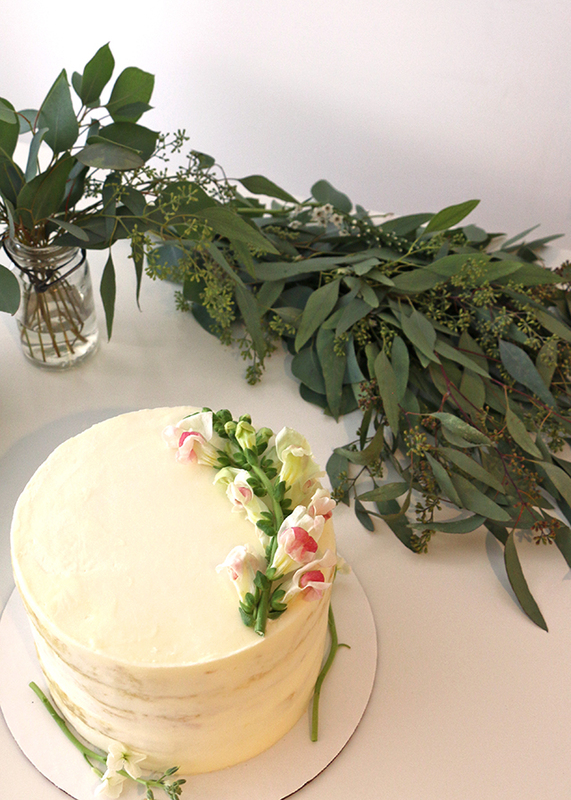 Since the party had originally been scheduled for the following week and I was freshly back from California, it was a bit stressful getting everything ready, but luckily I had my intern there those two days to help prep and setup (thank you Sara! ).